I love to read and I try to do so whenever I get a spare moment, which isn't often. But, I try to make time to pick up a book and get carried away with it. As long as I can remember, I have always loved to read, all types of genres and themes, I wasn't picky. When my oldest was born, I wanted to start him out with a passion for reading. I would read a book to him every single night and it became a much loved part of our daily routine. When my youngest one came along, I kept it going and would make sure they had a great library of books to choose from. 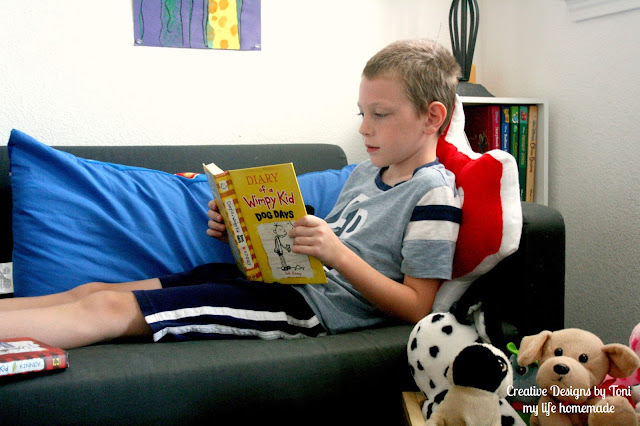 Now that they are getting a bit older, 9 and 7, reading has become a part of our every days lives. To keep them reading during the summer, I signed them both up for the summer reading program at our local library. They love being able to pick out their favorite books and win great prizes for doing so. 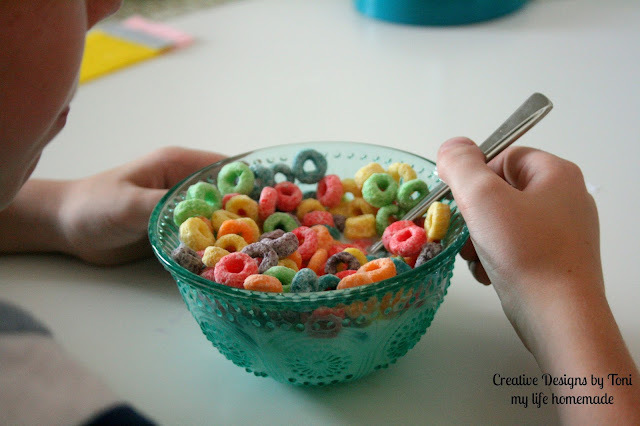 Plus, it helps getting back into our back to school routine much easier. Now that they are getting a bit older they are starting to read more to themselves then out loud with me. But, it can be hard to find a quite spot to sit down and curl up with a blanket and a good book. 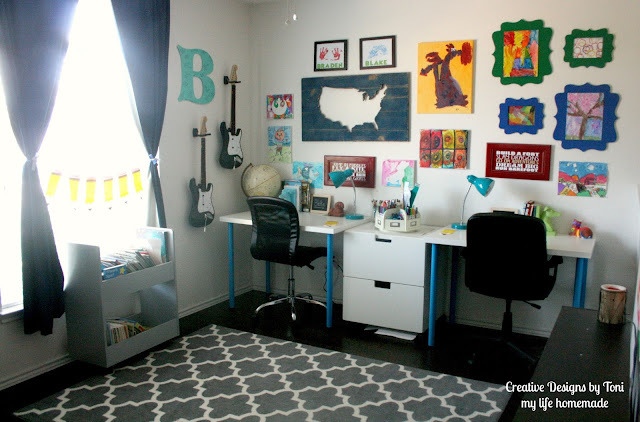 So, I decided to remodel their playroom into a Study and Reading space that will be perfect for doing homework, working on crafts or projects, plus a place to relax and read a book. 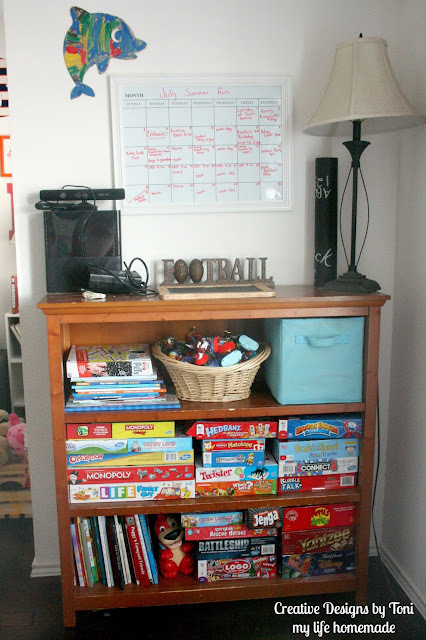 We moved into our home about 4 years ago and have been working on the boys playroom ever since. 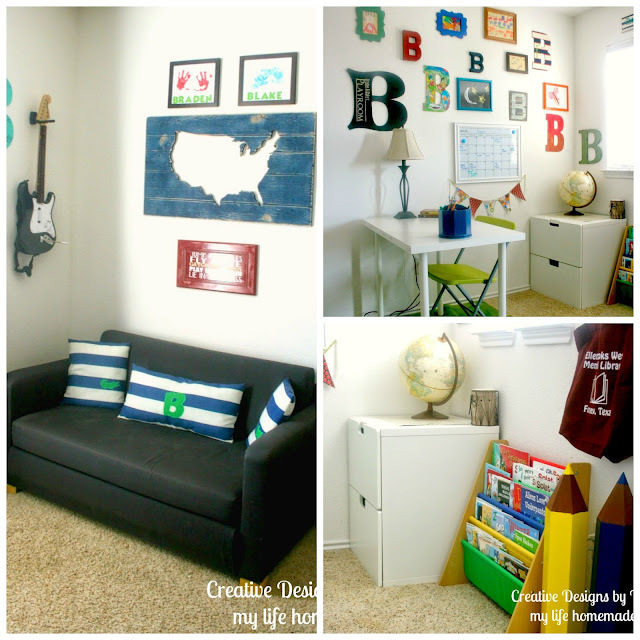 Last summer I "updated" their babyish playroom to a more "grown up" play room. Little did I know that they would quickly outgrow the space before I could really finish it up. But, it was perfect for them at the time. 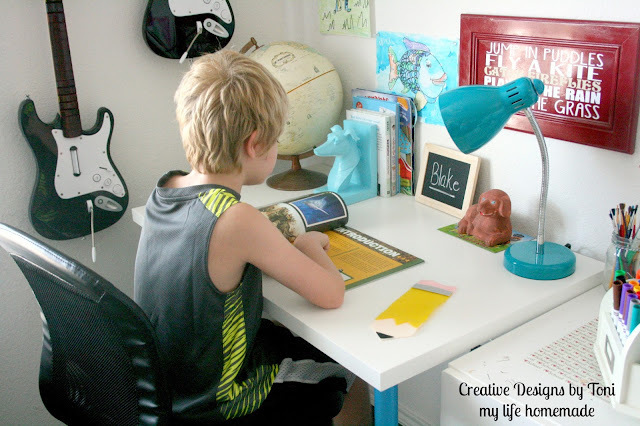 They had a "play" area, a book area, and a desk to work on crafts and their masterpieces. Our play room is shaped a little oddly with basically two open rooms or areas connected to form one really large playroom. It gave them lots of space and gave me lots of places to decorate. We decided to pull all of our carpet up in the house and lay brand new hardwood floors throughout. So, we moved all the furniture out and decided it was the best time to give them a space that fits their now 9 and 7 year old selves. 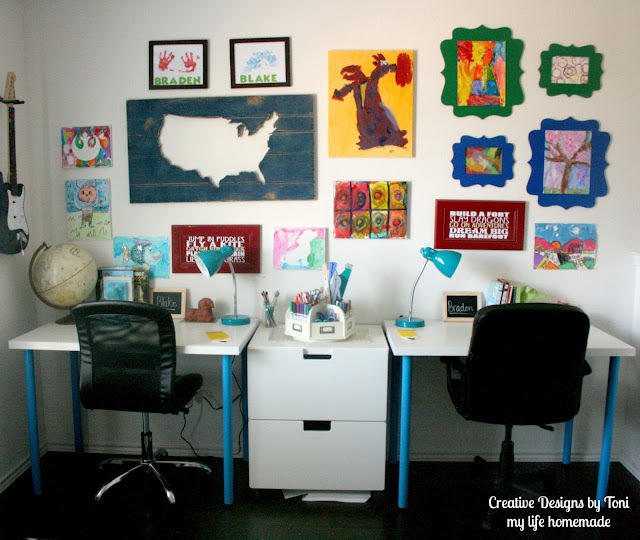 I wanted a space they could sit in and do their homework, write reports for school, create projects, and much more. Their old space was cute and fun and was a play room. 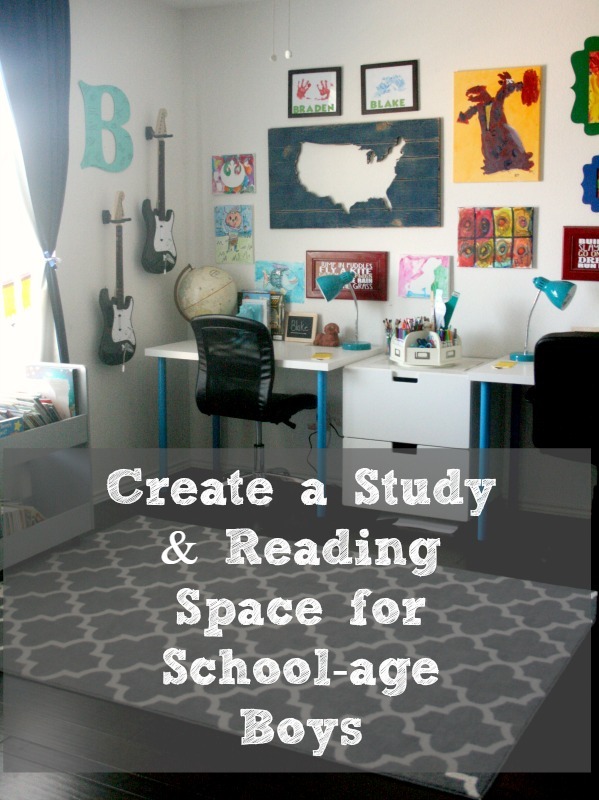 I wanted to create a study and reading space that could grow with them. 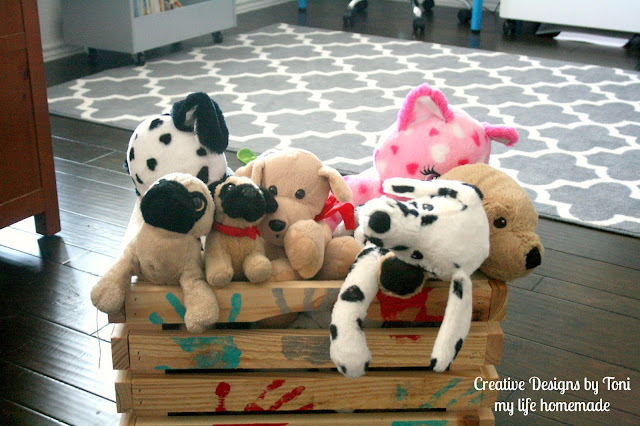 It was simple and easy to create and used a lot of items we already had or found on clearance and marked down. 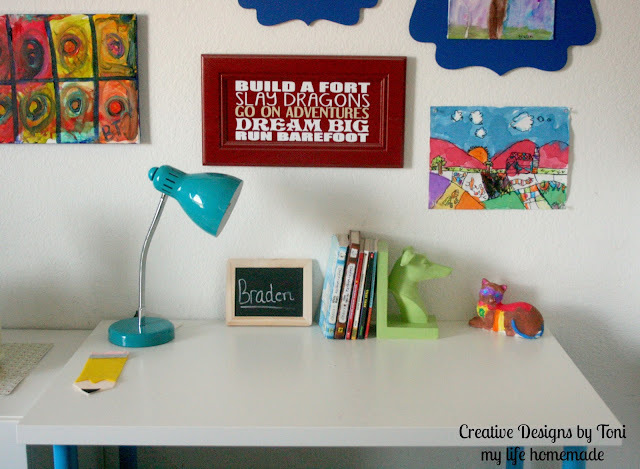 I did not have a big budget to create their room and knew I had to get creative to make it great. For the study area I added two small tables for desks and attached wheels to the two drawer cabinet and that I filled with paper, pencils, stickers, etc. 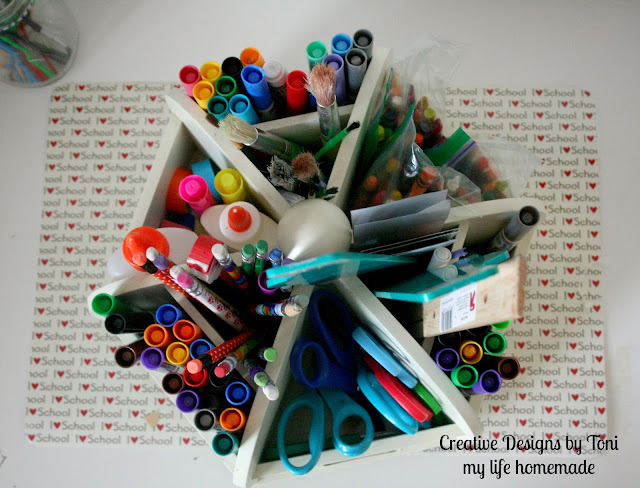 Stuff to help them create. I saved all their art work from school, I have piles of it for both of them. I went through and pulled out the best ones plus the really special ones they created from art classes as well as masterpieces from summer art camps. I hung those on the wall for decorations. Some, I just hung directly onto the wall and some I framed. I added in a few store bought pieces as well as two signs I created by re-purposing old cabinet doors and their old video game guitars were hung off to the side as decorations. For the reading area I moved the couch across the room to the corner nook. I placed a small shelf with a few books directly behind and added a few throw pillows to make it more comfy while reading. Since both their names begin with B, I wanted to create a wall full of letter B's. I started this last summer and I think I finally have it finished up. Plus, I added a few more drawings and artwork to finish it off. 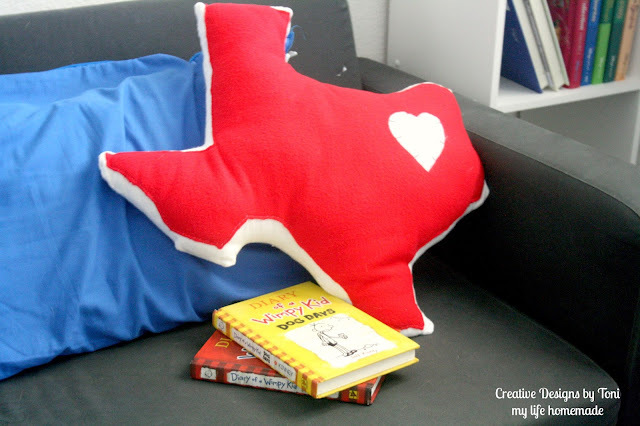 Who doesn't want a buddy to cuddle with while reading a book? They love their book buddy cart. It's full of snuggly puppies and kittens that they can read to or read with. Of course a reading space would not be complete without books! Lots of books!!! 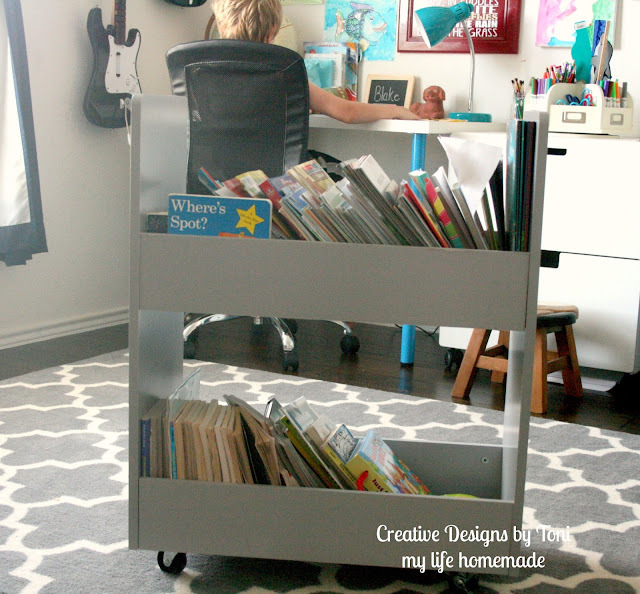 I love this rolling book cart. It holds a ton of books and can be moved around when needed. 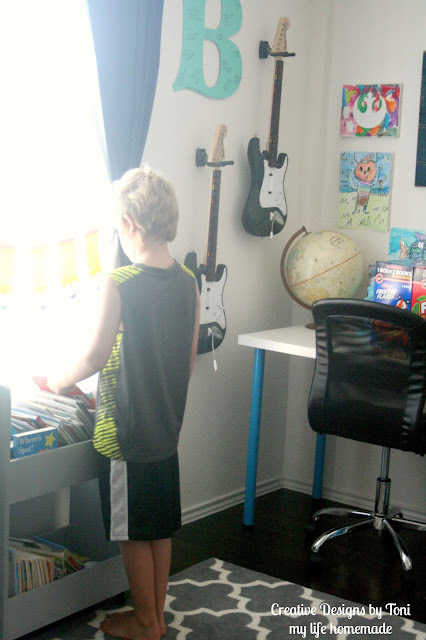 It's perfect for their space and each boy has their own shelf full of their favorite choices. I found a globe at a yard sale, cleaned it up and fits perfectly on their desk. 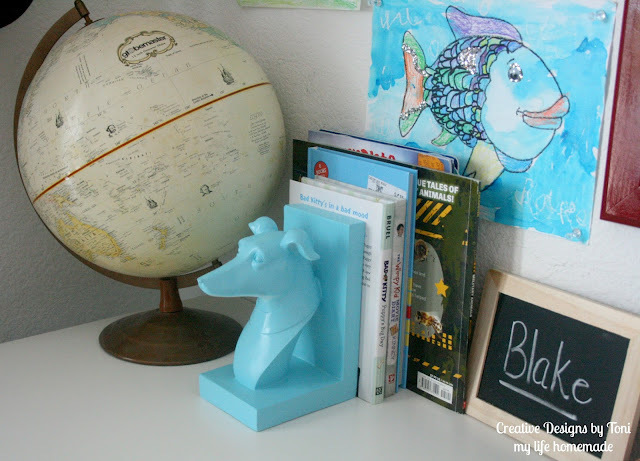 Dog books ends were spray painted to match the room. They were a steal in the clearance bin at the craft store. Matching desk lamps were added for their late night study sessions. Of course they needed craft supplies! After all, they now have the perfect place to create their next work of art! To keep things fun and not all work, work, work, I moved our board games to the shelves. They need a break after all and have fun. They are so happy they have a new space that fits them and is perfect to get them through the school year. It's now a space that can grow with them, hopefully longer then a year. Plus, any way to get them reading and having fun is perfect! I know they are ready to start school and hopefully their new space will help keep them going all year long. 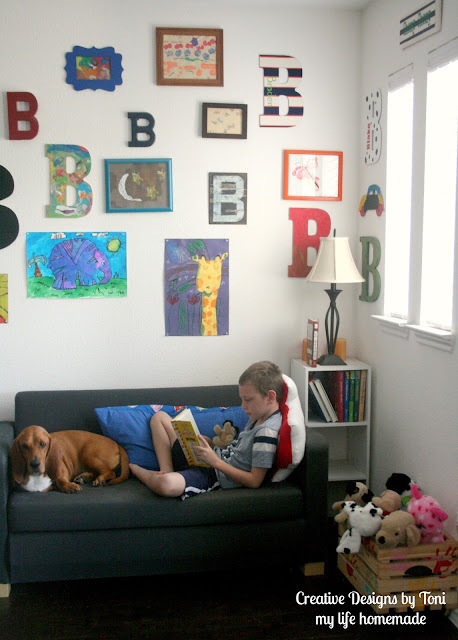 Do your kids love reading as much as mine do? Get two free Scholastic books– one for yourself and one to donate to a local school – when you buy any participating Kellogg’s® or J.M. Smucker product at Sam’s Club®. Products must be purchased now thru 9/30/16, while supplies last! Over 80 full-length Scholastic titles to choose from for beginning readers to teens! Redeem your free books in 3 easy steps! 1. 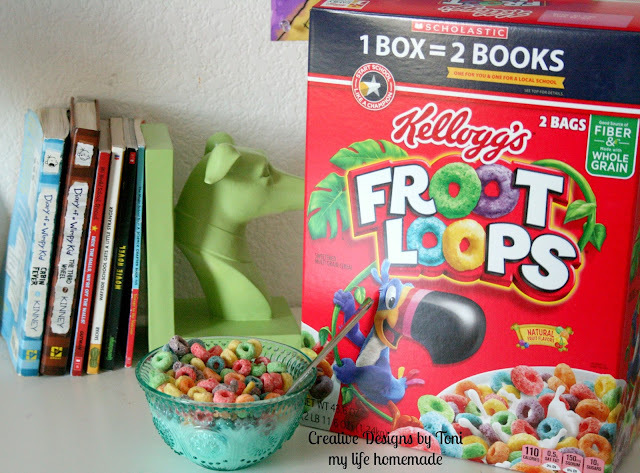 Buy any participating Kellogg’s or The J.M. Smucker Company product by 9/30/2016 2. Upload your receipt at FreeBookOffer.com/Sams within 30 days of purchase. 3. Redeem for your free Scholastic book and one book will be donated to a local classroom as well! Perfect way to stock up your home library and help your school! Plus, I love that I can head to Sam’s Club® and stock up on all our favorite back to school treats. 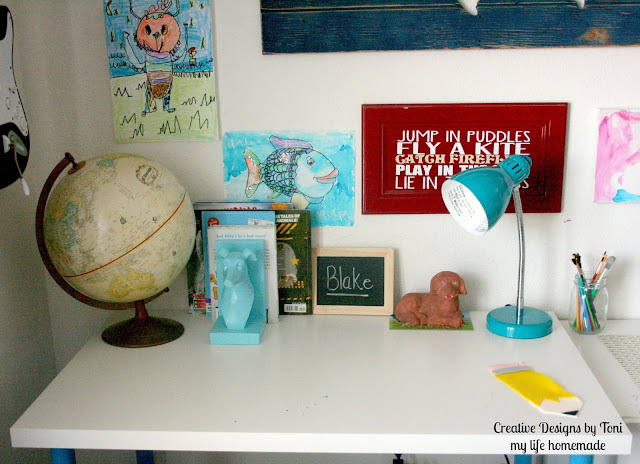 How do you get your kids ready to head back to school?